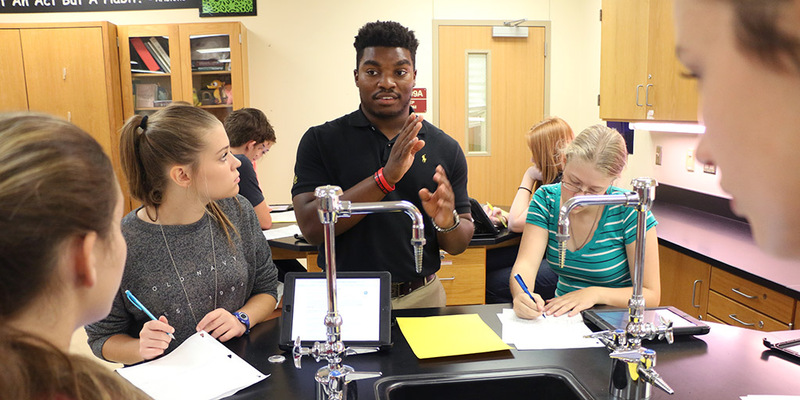 Students in these programs earn a BS or BA degree in their primary major, while also taking coursework to obtain secondary teacher certification. These students will complete three semesters of field-based coursework. It is ideal for students to add an Education minor or concentration to their program by the start of their junior year. To add a minor or concentration, contact the School of Education Office of Advising. The School of Education also offers a minor in Educational Psychology and Leadership Studies.